After a long while I am going to review a non-fiction book here. But wait, it talks about money! There I have your attention now. I must apologize to the author Mr. Akhil Khanna for coming up with this review so late. I would just say that sometimes life catches up with you so unexpectedly that all your best laid plan go haywire. But, as the saying goes, better late than never, I have finally writing about this informative book. 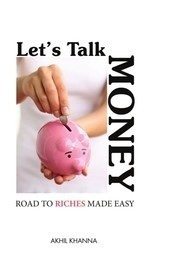 The first thing that catches your attention is the title itself – Let’s Talk Money – Road to Riches Made Easy. Now who doesn't want money? The blurb is even more enticing. The author says that Warren Buffet has two rules. Rule No. 1: Never lose money. Rule No. 2: Never forget rule No.1. The author adds a rule No. 3: Know how to apply rule No. 1. It is true that neither our upbringing nor our education gives money any significant place. Money is associated with greed and it is the least discussed topic in family. 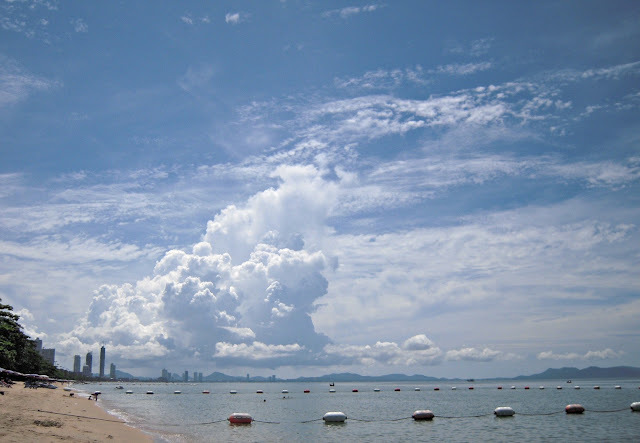 It is only in later life the importance of money is hammered into our brains. The author has written this book keeping in mind the people from non-financial backgrounds (like me) who are intimidated by the financial jargon and to whom all financial things seem far more complex than they actually are. In the 176 pages and 10 chapters of this book, the author has very concisely and in very easy language gives you a crash course on financial matters. I think, it is not a book to be rushed upon, rather one that should be read slowly (of course, that applies to people from non-financial background only). You will slowly absorb the basic concept of demand, supply, inflation, deflation and how it is related to people’s income. You will come to know of various investing options depending on your income and all the pros and cons related to it. The author has also tried to give us the big picture by dedicating a whole chapter to the recent global financial crises and how so many countries in the world were affected by it. Also, how it will impact our future. All in all, it is a very informative book which if read properly will definitely make you financially literate. The author has also used various examples from real life and some concocted to explain the various theories. That makes the whole concepts easy to understand. Yet, I realized that after reading this book for a while, I felt a bit over whelmed. There was just too much information in those concise chapters. I needed some time to reflect on what I have read to digest all the information. That is why; I feel that if you really want to benefit from this book, read it slow. My favorite parts in this book were the last two chapters – Invest in Happiness and World Financial Crises 2008. If possible, I would really want to hear the author talk about it, live. An interactive session would be the best! Far-fetched idea! Is it?